Men shouldn’t have to deal with dry skin under their beard. White, flaky and itchy beard dandruff can turn even the best facial hair bad. Thankfully, it’s not hard to stop beard dandruff. All you need to do is moisturize the skin under your beard and mustache with a good shampoo and conditioner, apply a top-rated beard oil or balm after, and brush regularly to exfoliate and spread your body’s natural oils. If you’re still dealing with flakes or irritated skin, this easy guide will show you how to get rid of beard dandruff within days. All you need is good beard care coupled with the best products. But first, let’s take a look at what it is, what causes it, and the basics of maintaining your facial hair. 1 What Causes Beard Dandruff? 2 How Do I Get Rid of Beard Dandruff? To understand what causes beard dandruff, you have to first understand what it actually is. For starters, the dandruff on your head and in your hair is the same type of dandruff in your beard. Also known as seborrheic dermatitis, beard dandruff is a collection of dead skin particles that get caught in the hairs of your beard, giving the appearance of small, white flakes. There are two major causes of beard dandruff – dry skin and fungal infections. Dry, flaky skin under your beard can be a result of washing with harsh cleansers or chemicals (e.g. regular soap). These low-quality washes may clean your face and beard, but they also remove your skin’s natural oils and dry out your beard and face. In other instances, cold weather may also dehydrate your skin and cause dryness. On the other hand, fungal infections are a result of a microbe called Malassezia fungi. This naturally-occurring yeast lives on your skin and feeds on your natural skin oils (sebum), turning it into oleic acid. Although sunlight normally kills and slows the growth of these fungi, it is able to find shade under your thick beard. Because most men are sensitive to oleic acid, this fungal infection results in skin irritations, itching, redness, and the flakiness that appears as dandruff. So, in essence, beard dandruff comes from the dry, dead skin under your beard, which sheds off in the form of small flakes and then gets lodged in your facial hair. The only way to avoid the dryness is to nourish, moisturize, and condition your skin. Now, let’s take a closer look at how to get rid of beard dandruff. Wash and clean your beard with a good shampoo and conditioner. The best beard shampoos and conditioners are made of all-natural ingredients that exfoliate, cleanse, moisturize, and condition your facial hair and the skin underneath. Shampooing and conditioning your beard is a fundamental first step to preventing beard dandruff. Apply beard oil and balm. Using beard oil and balm at least once a day can help your hair and skin retain moisture and stay hydrated. The best beard oils use quality ingredients such as jojoba oil, coconut oil, castor oil, argan oil, almond oil, and vitamin E oil, whereas the top balms include shea butter, cocoa butter, and beeswax. These products are the ultimate moisturizers for dandruff. Use a beard brush. In addition to styling your beard, a good brush will distribute the oils from your skin and products, thereby repairing dry and itchy parts of your facial hair. These essential natural oils will work to make your beard soft and smooth. This combination of exfoliating, washing, and moisturizing creates the foundation of proper beard care. Let’s look at each of these in depth to learn how they work together to keep your beard clean, shiny, and dandruff-free. Guys, you need to wash your beard the same way you wash your hair. However, it is important to make sure that you clean and moisturize your beard with the right ingredients. 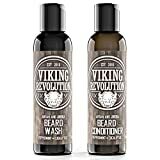 This means using a natural beard wash formulated to cleanse your beard of dead skin cells and bacteria without removing the natural oils produced by your skin. A quality shampoo and conditioner will then work to nourish, hydrate, and condition your beard and the skin underneath to eliminate beard itch and dandruff. A nice side benefit is that these products also smell really good, leaving a light but appealing scent women love! To shampoo your beard, just apply a small amount into your hand, lather it up between your palms, and massage it deeply into your beard. Make sure to rub it in vigorously, but avoid pulling too hard on your hairs. If you want to straighten your beard, you can even choose to comb your facial hair in the shower. Once you’ve worked the wash in, rinse it out with warm water. Afterwards, use the same steps to condition your beard. 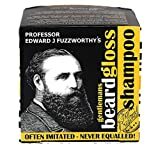 Just remember that you don’t need to wash your beard with product every day – two to three times a week is generally how often we’d recommend shampooing and conditioning. Here are some of the best beard dandruff shampoos. 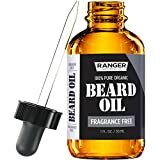 The best moisturizer for beard dandruff is beard oil. Because the primary cause of dandruff is dry skin, applying high-quality beard oil or balm daily will stop dandruff immediately and keep your beard from itching. 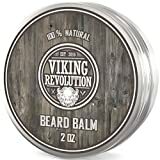 And because most beard oil recipes are comprised of just all-natural ingredients, guys with sensitive skin can alleviate irritation and acne with regular use. If that wasn’t enough of a reason, the benefits of beard oil extend to making your beard look and feel healthy. For instance, the carrier and essentials oils from these products will moisturize and hydrate your beard and skin all day, leaving it soft and shiny. Finally, if you get a beard oil that adds tea tree oil, you will appreciate the soothing and healing qualities of its antibacterial effects. To apply beard oil, dry your face after a shower. Squeeze a few drops into your palms, rub your hands together, and gently work it into your facial hair. Use your fingers to spread it evenly throughout your face, making sure to touch the skin underneath. If you have a full beard, comb the hairs to distribute further. Next, take some beard balm and repeat the process. Here are the best beard oils for dandruff. 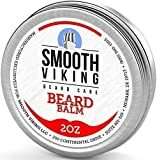 Beard balm, much like the oil, is an excellent way to treat and cure dandruff. With many of the same ingredients, beard balm provides an additional layer of hydration to the dry, flaky skin under your beard. The main difference is that balm usually incorporates beeswax, cocoa butter, and shea butter. This thicker composition means that beard balm doubles as a leave-in conditioner that’s also good for styling. If you have a thicker, longer beard, we recommend using oil and then balm to groom and style. Get rid of beard dandruff with these top balm products. Most men forget how important it is to brush their beards. But brushing facial hair isn’t just good for styling or maximizing beard growth. Because brushing your beard also exfoliates the skin under, guys should brush before a shower and after they’ve spread beard oil. By using a boar bristle beard brush, guys are able to bring flakes and dry skin under their beard and mustache to the surface where they can be washed away. Furthermore, the process of removing dead skin cells also opens up the skin’s surface to absorbing the moisture provided by shampoos, conditioners, and balms. Start by using a boar bristle beard brush. 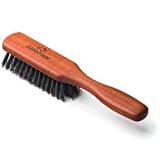 The natural boar hair bristles will exfoliate your skin, gently remove tangles and knots, spread your oils, and not damage your hair follicles with the abrasiveness of synthetic bristles. 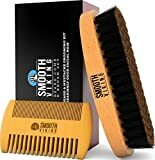 Although a beard brush won’t cure dandruff on its own, it is a crucial part of maintaining a healthy beard. All things considered, beard dandruff is really not too complicated a topic. These annoying white beard flakes are simply just small pieces of dry, dead skin which your body has naturally shed. The solution is good grooming, washing, and improved skincare to prevent excessive amounts of dry skin from forming in the first place. With the best men’s beard products and a regular grooming routine, guys can get nice facial hair that looks thick and feels healthy!